Two of the fantastic Miami-area restaurants we manage here at V & E lie along one of the most fabled thoroughfares in South Beach: Espanola Way. Dining at Tapas y Tintos, our Spanish tapas and paella hotspot, or Mercato della Pescheria, our Italian seafood restaurant, you’ll get to soak up all the history and the absolutely one-of-a-kind ambience of the first commercial stretch of Miami Beach. Architect Robert Taylor and developers N.B.T. Roney and William Whitman were among the visionaries who conceived of a bohemian enclave in South Beach with the look and vibe of a Mediterranean neighborhood: Barcelona’s Las Rambla, Cannes on the French Riviera, and the like. In the early 1920s, this vision introduced Espanola Way—between Collins and Jefferson avenues, a block south of 15thStreet—as a “Historic Spanish Village,” complete with Old World-inspired architecture. 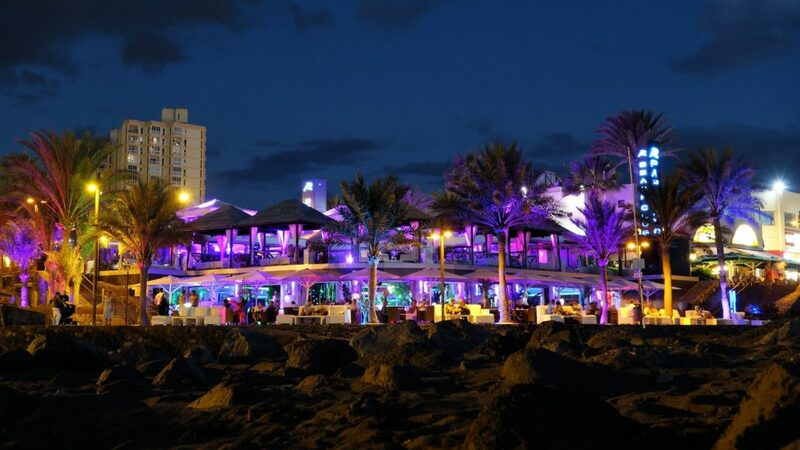 The street quickly became a social hub for Miami Beach’s well heeled, with restaurants, bars, and clubs bustling deep into the evening. The high society of Espanola Way and the rest of Miami Beach in the 1920s and ‘30s had an underbelly. The wealth, corruption, and auspicious geographic setting saw plenty of mobsters infiltrating the scene—not least Al Capone himself, who spent winters down here and gambled at the Clay Hotel (still here) and other establishments. By the mid-20th century, Espanola Way had started to slide into neglect and raggedness (against the backdrop of a larger such trend across Miami). It was no longer a glitzy nightlife destination, to say the least. In the 1980s, however, Espanola Way blossomed again, thanks to the ambition and hard work of landlords and developers such as Linda Polansky and Barbara Capitman. As Espanola Way’s colorful cityscape revived, it also emerged as a popular backdrop for TV shows and movies. Multiple episodes of Miami Vice, including the first and last, featured the street. Today, Espanola Way’s a vibrant, pleasantly kitschy street quite close to the original vision: studded with restaurants and cafes and art galleries and yoga studios, evoking a European ambience under generous amounts of subtropical Miami Beach sunshine. It pulses along with family-friendly, day-and-night energy, and draws inimitable character from its historic landmarks such as the Clay and El Paseo hotels. In 2017, Espanola Way converted into a pedestrian-only thoroughfare, enhancing its appeal all the more. Here at Vida & Estilo Restaurant Group, we’re proud to be a part of this hallowed South Beach landmark with our Tapas y Tintos and Mercato Della Pescheria eateries! Miami’s Most Anticipated Restaurants and Bars, Summer 2018 V&E Restaurant Group Goes Greener!